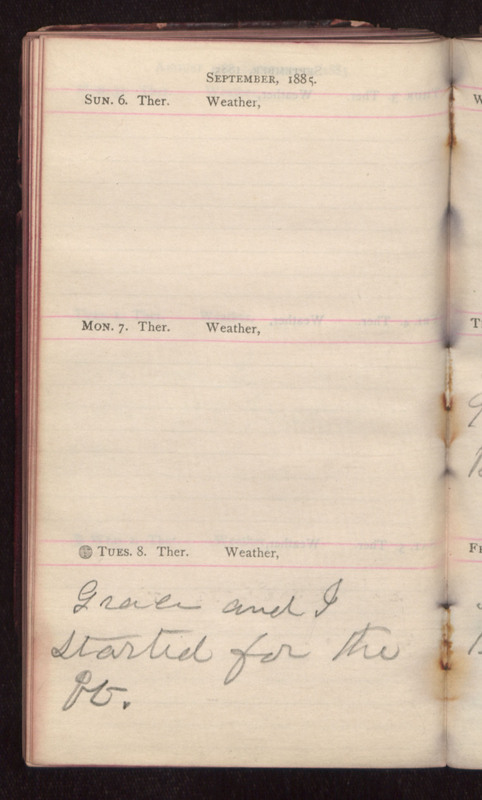 September, 1885. Tues. 8. Grace and I started for the PO.